We at St. Charles Bowl are committed to helping our community. 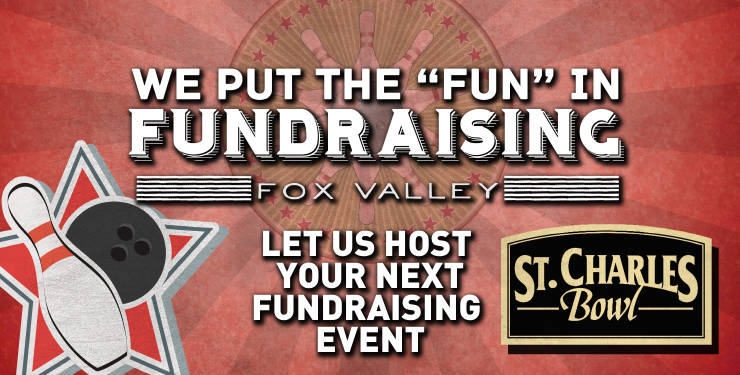 Whether it is for a school, church, charity, or any other special cause, a fundraiser at St. Charles Bowl is an effective and easy way to raise money. Bowling is a great activity for both children and adults which can help increase the amount of participation. We will work with you to customize your event. Please contact us or fill out the form below and one of our fundraising coordinators will get in touch with you. You can download a copy of our fundraisers flyer here. Additional Time Options Available. Please Inquire for further information. *Not valid on National Holidays, School Breaks or School Holidays. Package pricing subject to change with seasons/lane availability. Please contact us for further information. Thank you for contacting us regarding your fundraiser at St. Charles Bowl! You may also call us at 630-584-9400.